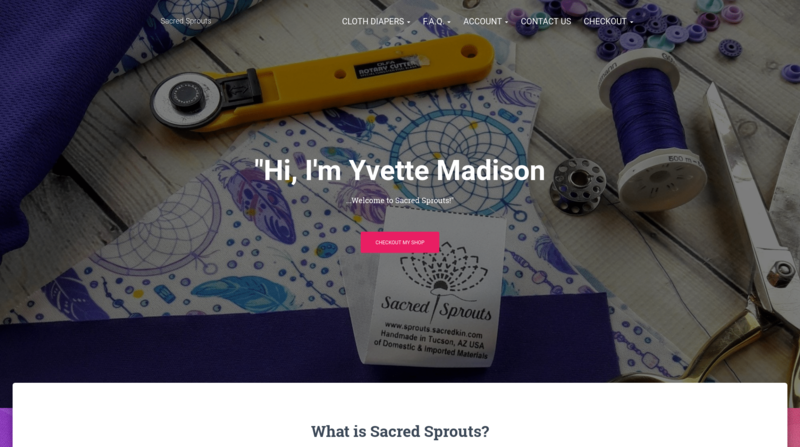 After months, if not years, of work going into this business, Yvette and I are finally able to launch her new website – Sacred Sprouts! This last week Ashley and I provided the last bit of work needed behind the scenes which helped optimize each product listing to its maximum SEO score. The site now features a whole new “Design your own Cloth Diaper” section. Complete with custom options so anyone can create the design they are looking for. Take a look – and don’t just look – buy something while your there!